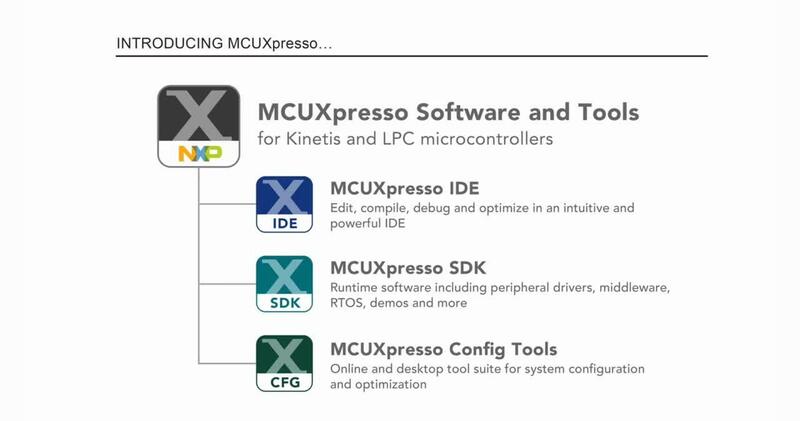 The Kinetis MCU portfolio consists of multiple hardware- and software-compatible ARM® Cortex®-M0+, Cortex-M4 and Cortex-M7-based MCUs, offering exceptional low-power performance, scalability and feature integration. NXP Kinetis K series MCU portfolio includes more than 600 compatible low-power, high-performance 32-bit microcontrollers built on the ARM® Cortex®-M4 core. This series is designed for scalable performance, integration, connectivity, communications, HMI and security and also offers additional features for exceptional integration. Kinetis L series MCUs combine the exceptional low-power performance and energy-efficiency of the ARM® Cortex®-M0+ processor with the performance, peripheral sets, enablement and scalability of the Kinetis MCU portfolio. The Kinetis ultra-low power L series frees power-critical designs from 8- and 16-bit MCU limitations by combining excellent dynamic and stop currents with superior processing performance, a broad selection of on-chip flash memory densities and extensive analog, connectivity and HMI peripheral options. The Kinetis E series, based on the ARM® Cortex®-M0+ core, is designed to maintain high robustness for complex electrical noise environments and high-reliability applications, the Kinetis E series offers a broad range of memory, peripheral and package options. They share common peripherals and pincounts allowing developers to migrate easily within an MCU family or between MCU families to take advantage of more memory or feature integration. This scalability allows developers to standardize on the Kinetis E series for their end product platforms, maximizing hardware and software reuse and reducing time-to-market. NXP is making automotive development easy with Kinetis EA series MCUs. Kinetis EA series MCUs for automotive allow fast time to market with simple tools, an extensive development environment and automotive grade qualification across -40 to 125 °C temperature ranges. This series of MCUs includes a broad set of documentation, hardware and software tools and application notes to help speed development and reduce design costs. Kinetis M series MCUs are based upon the low-power ARM® Cortex®-M0+ core and are designed for single-chip one-, two- and three-phase electricity meters as well as flow meter and other precision measurement applications. Kinetis M series MCUs include a powerful analog front end consisting of multiple 24-bit sigma delta ADCs, programmable gain amplifiers, voltage reference with low drift over temperature and a phase shift compensator. A large range of security features including a memory protection unit, external tamper detection pins, iRTC with tamper detect and a random number generator provide protection of supplier/user data within the MCU and from the MCU to the power grid. A low power segment LCD controller support up to 288 segments and 8 backplanes. Kinetis V series MCUs are based upon the ARM® Cortex®-M0+, -M4 and -M7 cores, and are designed for BLDC, PMSM and ACIM motor control, as well as digital power conversion applications. The Kinetis W series integrates class-leading sub-1 GHz and 2.4 GHz RF transceivers with ARM® Cortex® cores, providing robust feature sets for reliable, secure and low-power embedded wireless solutions. The Kinetis W series is optimized for wireless communication, providing the right mix of performance, integration, connectivity and security. Whether you need sub-1 GHz or 2.4 GHz wireless, simple point-to-point or full mesh networking, the Kinetis W series has the solution to fit your needs.